Cash on Delivery (COD). With so many scammers online of which I was almost a victim of a few, COD will ensure the buyers that your credit/debit card details are protected. It will also add security for those skeptic buyers since no cash was dispensed yet. I personally love COD since I am one of those skeptic buyers. It pays to be vigilant when doing online transactions. No sign-up policy. Unlike other online shops where you need to have an account with them to be able to purchase, Lazada offers its buyers a no sign-up policy. All you have to do is to click the item you wish to buy, go to your cart, then checkout! 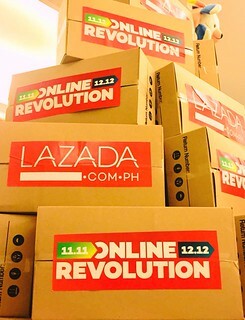 Best of all, Lazada also offers FREE DELIVERY with a minimum purchase of 2,000. How low can the prices get? Up to 95% discount will be offered and I believe that is a big deal for all of us. For someone who loves to travel and fashion, I will watch out for these items: Casio G-SHOCK Men will be sold for 2,995 from its original 3,995 price, Herschel Day Backpack will be sold for 1,299, and A7 Action Sports Camera, all perfect for your next adventure. They even offer items at buy 1 take 1 promo. Lazada will also be giving 1 ISUZU MU-X to a lucky shopper during the one month sale. But if your not into cars, maybe you will be enticed to shop once you know that you might win 1 MILLION PESOS cash courtesy of Philips Avent Products. You only need to buy at least 1,500 worth of Avent products. But it won’t be that expensive since Avent products is also included in this year’s mega sale. But if you treasure memories more than money, Philippine Airlines and Star Cruises will be giving free trips to lucky shoppers during this online revolution. How about these new products and partners? Digital Goods – Yes! You can top-up your prepaid mobile via Lazada. So what are you waiting for? 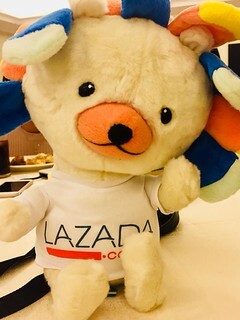 Go to Lazada now!